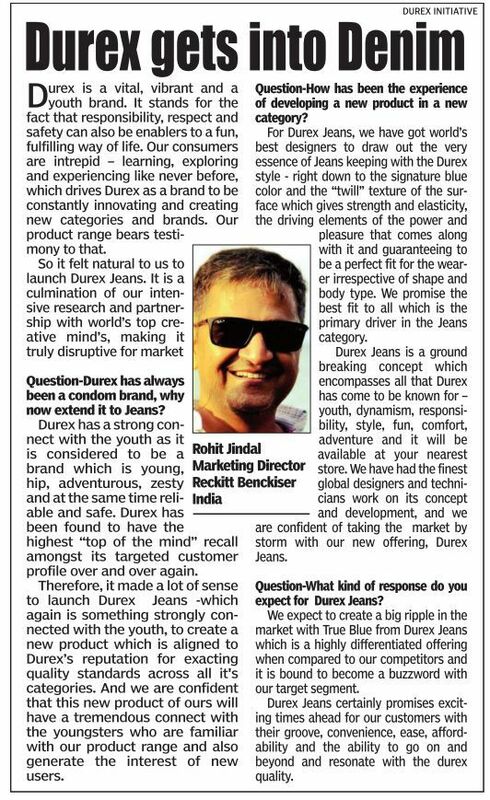 Condom manufacturer Durex stirred up the Indian web this morning with a tweet announcing its entry into a new product category — denim jeans. Yes, you read that right. #DurexJeans is now a thing.